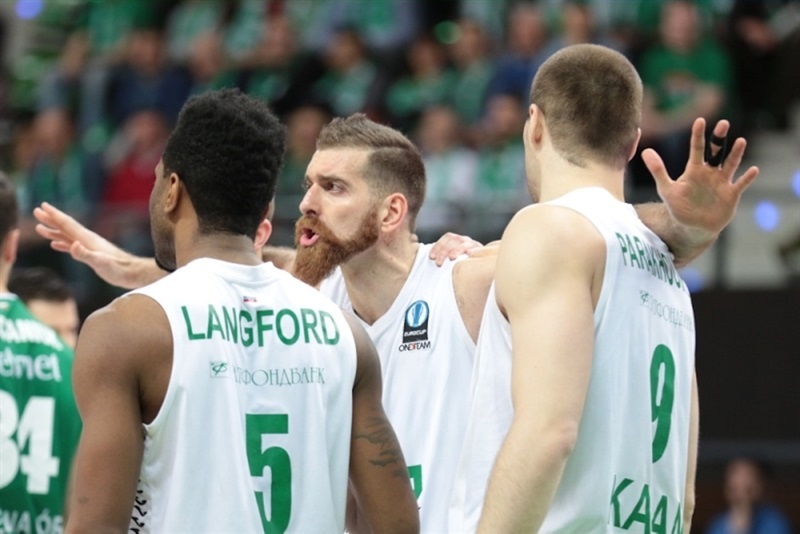 Former champion Unics Kazan rallied from an early 13-point deficit on the road in Game 1 of the Eurocup Eighthfinals to defeat Stelmet Zielona Gora 68-72, and make a big step towards a place in the next round. 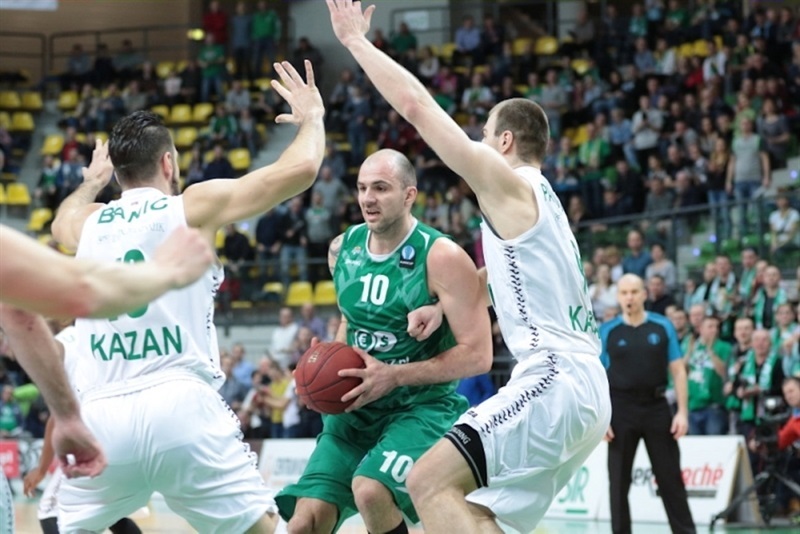 A win or a loss up to 3 points on home court next week will send Unics into the Eurocup quarterfinals, stage it reach in each of its last four appearances in the competition. 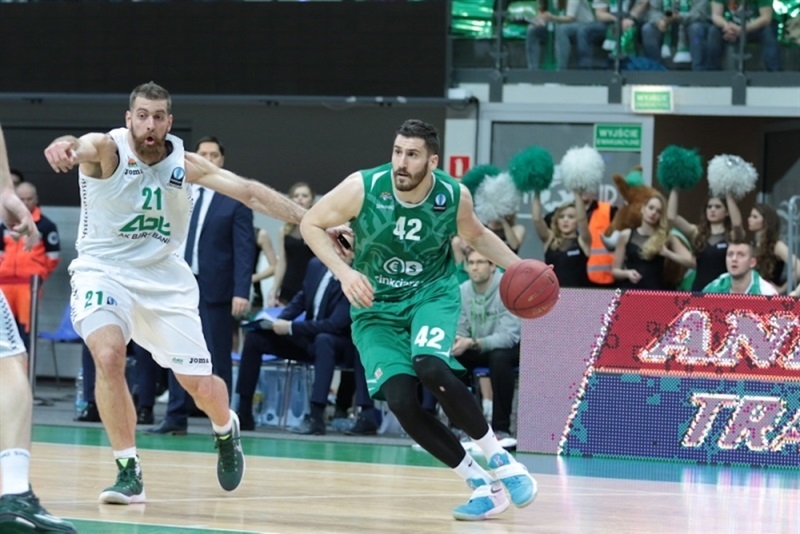 Zeilona Gora led by 28-15 in the second quarter, but Quino Colom led Unics charge to cut it to 35-30 at halftime, before him and Keith Langford led a spurt that put visitors up for good in the third quarter. 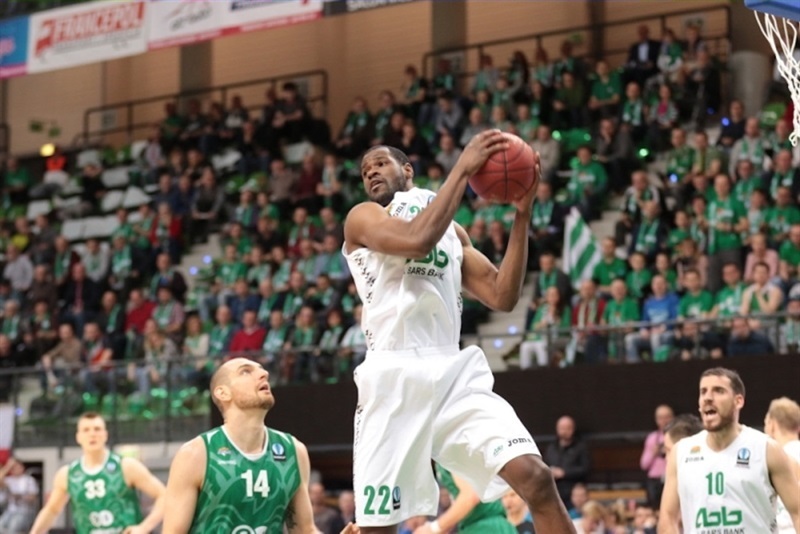 Latavious Williams sealed the deal in the final minutes of a game which Colom finished with 17 points and 11 assists. Langford scored 19 points, and Williams collected 15 points plus 8 rebounds. 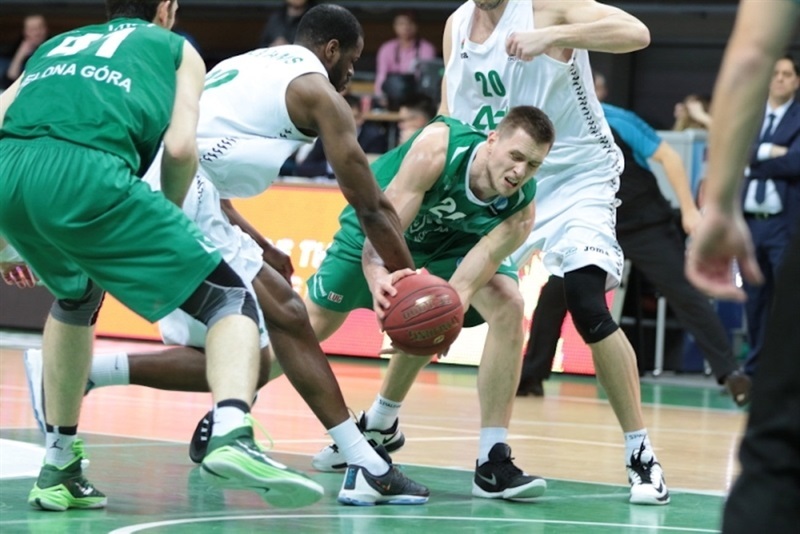 Mateusz Ponitka scored 21 for the hosts, and Vlad Moldoveanu netted 10 in the losing effort. Ponitka got the hosts going in the early going, scoring 6 of the first 10 Zielona Gora points, before a triple from Moldoveanu made it 13-4. 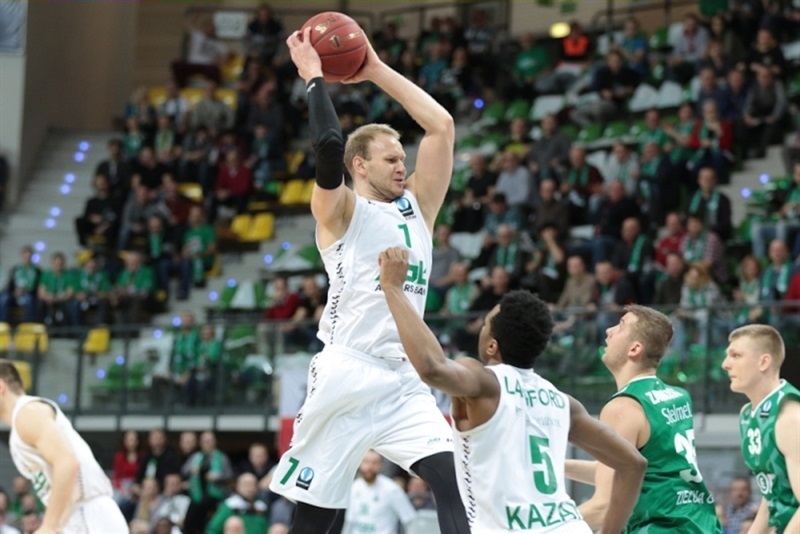 Arturas Milaknis answered with a three-pointer for Unics, but free throws from Dejan Borovnjak and Moldoveanu, followed by another Borovnjak's basket opened 19-7. Williams and Marko Banic cut it to 21-13 before the end of the first quarter, but Dee Bost, Szymon Szewczyk and Nemanja Djurisic extended it to 28-15 early in the second. The hosts allowed only a single basket in 5 minutes to open second quarter before Colom hit a three. The same player added a pair of free throws, and after Kostas Kaimakoglou nailed a three of his own, Colom buried his second shot behind 6.75 arc to help cut it to 35-30 at halftime. Przemyslaw Zamojski hit a triple to open second half, and Ponitka hit from downtown for the hosts in the opening 5 minutes, too. 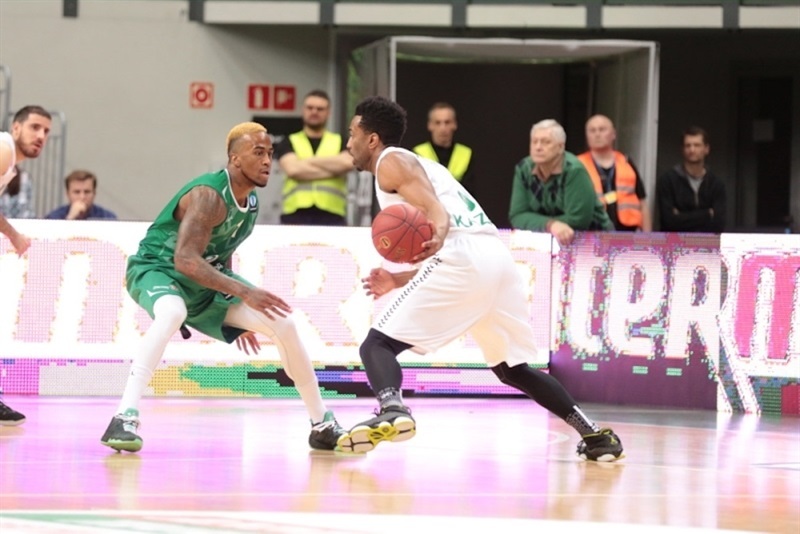 But Colom and Langford led Unics charge during that span, scoring 13 points in a run that tied the game at 43-43 midway through the third quarter. Free throws from Kaimakoglou put Unics in front, and before quarter’s end Vadim Panin hit a triple, and Williams converted a three-point play to make it 49-55 after 30 minutes. Colom and Langford extended it to 55-62 with 6 minutes to play in the fourth quarter, but Szewczyk and Moldoveanu each hit for three, to get the hosts within 63-64. Kaimakoglou and Williams kept Unics with a lead, but Zamojski hit a triple and Ponitka drove for a layup to make it 68-70. 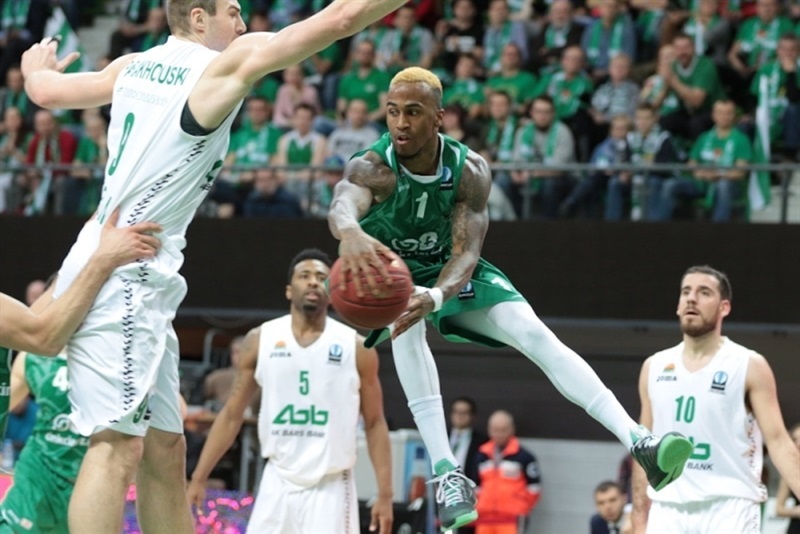 After a timeout, Williams finished with a big dunk, before Unics made one more defensive stand on the other end, sealing the deal.